Janus is a methodical and cunning villain, with a constantly changing series of sidekick vixens that he uses and then tosses away. Occasionally this backfires on him... and the hunter becomes the hunted. 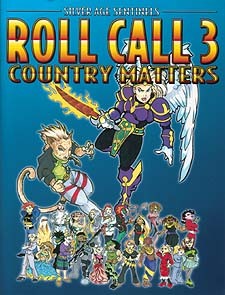 Roll Call 3: Country Matters presents two dozen femme fatales from around the world that you can drop into any Sivler Age Sentinels campaign.